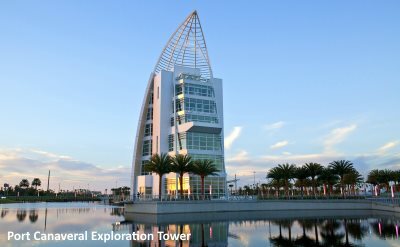 Port Canaveral is on the Atlantic coast of central Florida, directly east of Orlando. Four cruise lines sail from the busy port. It is next to Cape Canaveral and the resort community of Cocoa Beach. Our schedule of cruises from Port Canaveral in 2019 is complete for all ships. We include year-round trips to the Bahamas, Caribbean, Bermuda and even to Europe. 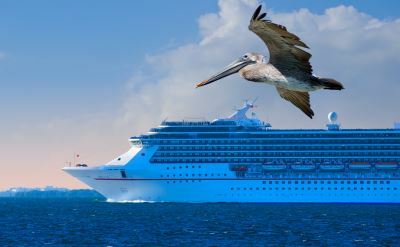 The most popular cruises are short trips to the Bahamas, which are great for a quick getaway or can be combined with a trip to the theme parks in Orlando for a vacation. Check the complete list of 3-day cruises from Port Canaveral. See our picks for the 5 best Port Canaveral cruise reviews. We selected recent reviews that are fun and useful. Port Canaveral serves as the Orlando cruise port. It is the closest port to Disney World and the other theme parks. Families love Disney Cruises. The line offers 3- to 7-day cruises and a few longer special voyages. It has the features and activities that kids want, and carries on the tradition that started with the Big Red Boat. 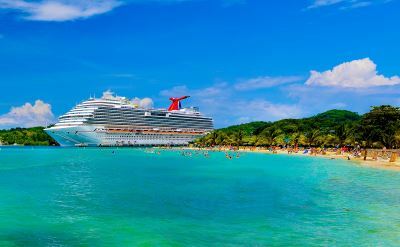 Carnival Cruise Line offers affordable cruises to the Bahamas and the Caribbean from Port Canaveral. Make a quick getaway or take a week-long vacation cruise -- they all have a casual fun spirit. Royal Caribbean Cruise Line also offers short Bahamas cruises and longer Caribbean cruises from Cape Canaveral. Their big ships are loaded with amusements, attracting active young people and families.